This Claim Form is used in lieu of submitting an online claim. See Claim Form Instructions BEFORE filling out this form. The Claim Form Instructions accompany the Claim Form and explain each part of the process. Claimants are required to read the Claim Form Instructions before submitting a claim, and are responsible for understanding and fulfilling all claim requirements stated within. All samples MUST be accompanied by a completed Chain of Custody. Without it, the Trust cannot test the sample. Photographs of a Zonolite branded bag MUST be accompanied by the Bag Declaration. The Bag Declaration attests that the bag was found in the structure containing vermiculite. This form is only for claimants authorizing the Trust to pay the contractor directly. Contractors must fill out the form and return it as part of the evidence required to show that the Zonolite has been removed or contained. This form is only for claimants who removed the vermiculite PRIOR TO 6/16/14. The contractor who removed the vermiculite must sign the form for it to be considered as evidence of product identification. The Statement of Authenticity accompanies the Claim Form and Claim Form Instructions and explains the responsibilities of each claimant regarding the authenticity of any and all documentation provided by the claimant and/or contractor with their claim. Claimants are responsible for understanding all requirements stated within. This form is only for claimants who removed the vermiculite PRIOR TO 6/16/14. Claimants with direct personal knowledge relating to the INSTALLATION of Zonolite in the claimed structure may submit this form to be considered as evidence of product identification. This is a printable version of the FAQs available on this website. This is a printable version of the Sampling Instructions available on this website. 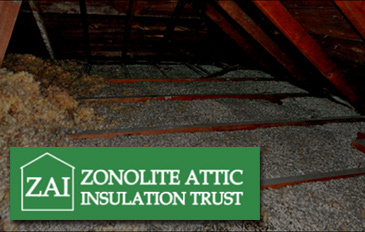 The Zonolite Attic Insulation Trust (ZAI Trust) was created to help educate the public about the possible health effects of asbestos-containing vermiculite and to provide partial reimbursement for ZAI removal to qualified claimants. How much was paid to have the vermiculite removed or contained. This is called the Expense Requirement. © 2018 ZAI Trust. All rights reserved.